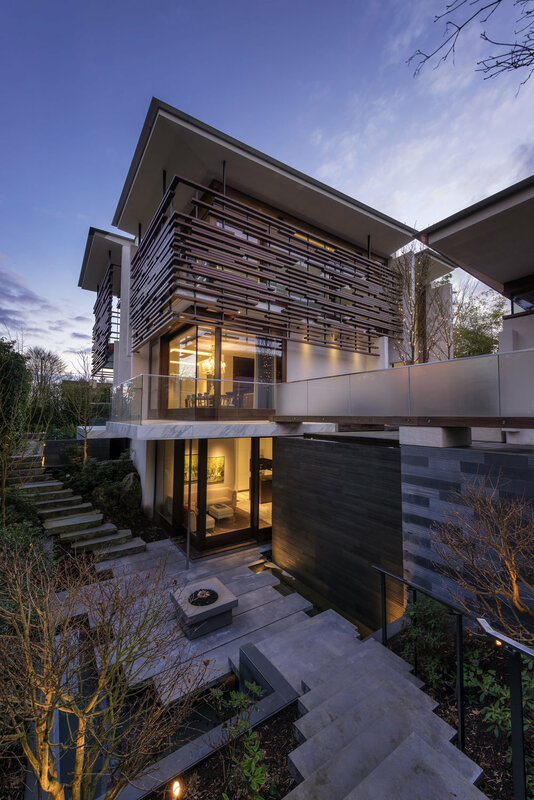 Interior and exterior re-design of an in-progress single family residence in Vancouver. 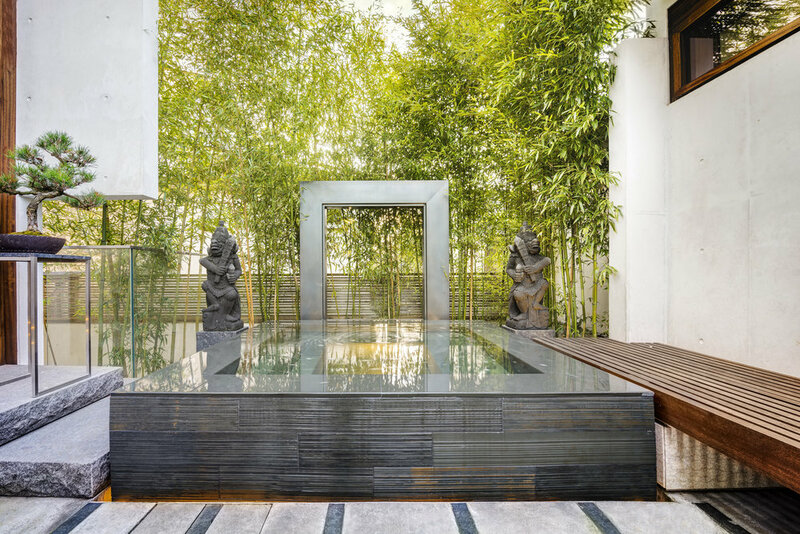 This house is a synthesis of West-coast and Eastern modernism with specific influences from Bali and Thailand. The open concept layout of the home has an open flow of spaces, yet still defined as rooms with a continuous indoor-outdoor connection at all levels. 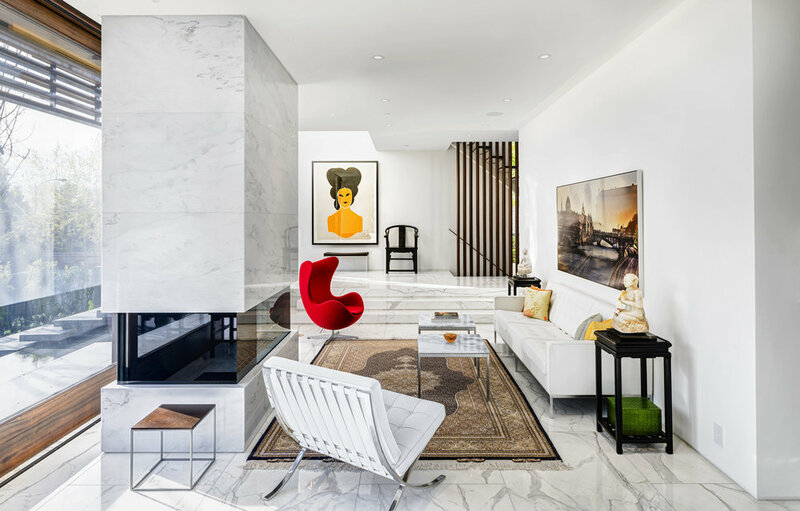 Inside, the house is lined with white marble surfaces, integrated millwork, and carefully crafted detail. 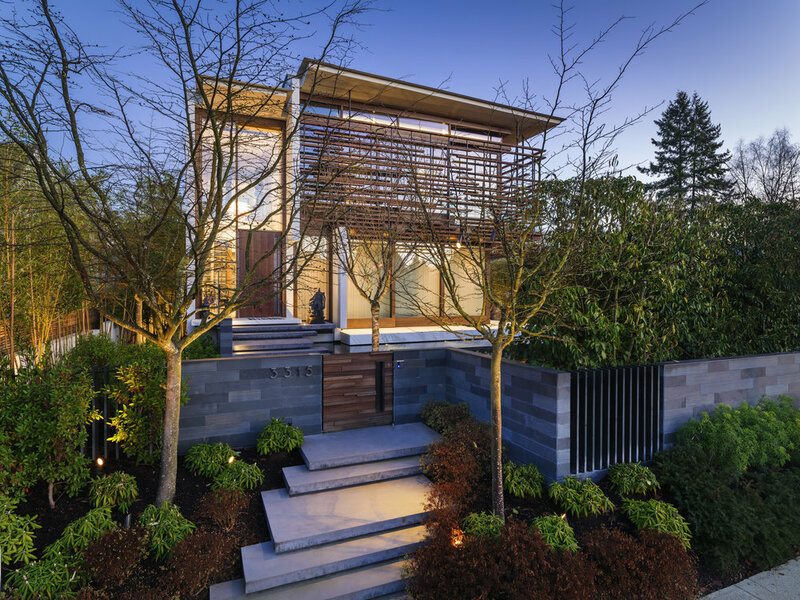 Set within a beautiful walled garden, the exterior sapele wood slats on the outside of the home provide solar shading and privacy to the large expanses of glazing. Jonathan Choo, Gwen Lovsted, Lukas Peet.